Ok, it seems every other model car scene is making custom led tail lights except us. I know I want some, and I'm sure most of you would want some. Who wouldnt want lights that are far brighter to hopefully avoid being rear ended (plus the improved appearance of the car). You can go to u-tube and everyone has home made led's these days. I saw a ton of datsun 510's with them, jz supra's, AE86's ect. I personally don't have the time or know how right now to do this but I would think someone would have done this project by now. Anyways, I'm just bored and have been drooling over all these led lights on older cars that I have been watching on u-tube. Its been a project to persue in the future, I just never got around to it. Because 1st gens look just fine with the lights they have. I don't want to change the look of the rear lights, I just want them much brighter (I've almost been rear ended a few times). If one day I do get around to doing this, i would want mine to appear stock when not lit up, and when lit up, the same design as stock, only much brighter. I would have a big red rectangle like stock with a smaller amber for the turn signal (exact same shapes as stock). I would like to keep the stock look, only with led's. This is on my list of things to do, but I have some more important things first. I think I have the longest turbo swap first gen project in history (going on about 4 years now) hahahah. I gotta finish that up first, then the tailights and headlights will be next on my list. I'm probably like most here, I have lots of big plans but no time to complete them. Everything I have read about 1157 type replacement led bulbs has been bad. Most say that during the day, it's hard to see the brake lights. Some have had good luck with led bulbs in the front turn signals and side marker lights though. 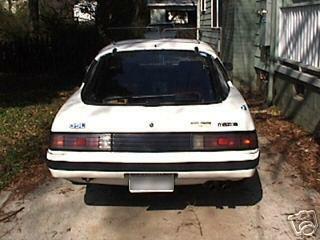 maybe do the euro tails light mod..? 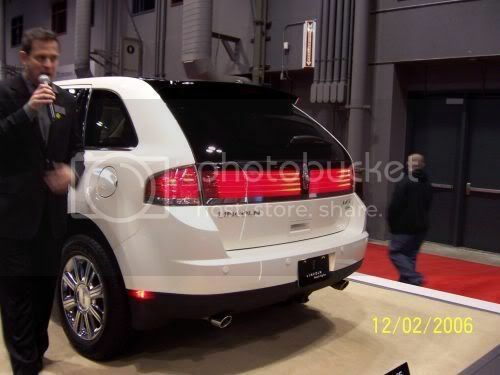 I always wanted to come how retro fit lights in the style of the Lincoln MKX, before the re-style. I have no clue where to start therefore, i dont. I seem to remember the Lincoln MKVIII's used actual neon tubes, but might have been bad 3rd-hand info. Effective LED lights need properly designed reflectors, too. That's the harder part of the DIY equation - - LEDs are much more directional than incandescent bulbs. Making a proper LED reflector that would last would need a number of steps. If it doesn't make my car go faster, or handle better, or stop sooner, then I just don't have time for it. Actually, I think LEDs are kind of "new age" for our old cars. I think it might clash a bit? I wonder if the impending incandescent bulb ban that went thru congress a while back, & which is supposed to kick in a couple years from now, will apply to instrument/marker/automotive bulbs as well? These are very bright. A couple of friends really like them, I've never used them. Not sure how it'd look on an older car. But about Kentetsu's going faster comment, technically they would draw less juice and take load off the alternator, and the alternator would drag a bit less on the engine. Not sure it'd be noticable, but probably measurable. "I wonder if the impending incandescent bulb ban that went thru congress a while back, & which is supposed to kick in a couple years from now, will apply to instrument/marker/automotive bulbs as well?" Time to stock in those incadescents. As far as speed goes, incadesents are way faster than LED's, you get that when you hook up to a real power source. Not sure it'd be noticable, but probably measurable. All four turn signals (and their dash indicators) on together add another 114.8 watts - but they're never all on together for long. If they were, 0.153 hp. Get 'em all lit up at once, it's still just over a third of a horsepower. you have too much free time on your hands Glen! Well, in that case lets get this figured out! I need that extra 1/3 hp to shave off that last 1/100th of a second in autocross! See how those Miatas like me then! Awesome, I thought that looked suspiciously familiar, you found a picture I took. check my sign, op, maybe that is why. we need more FB for this to show your future interest.